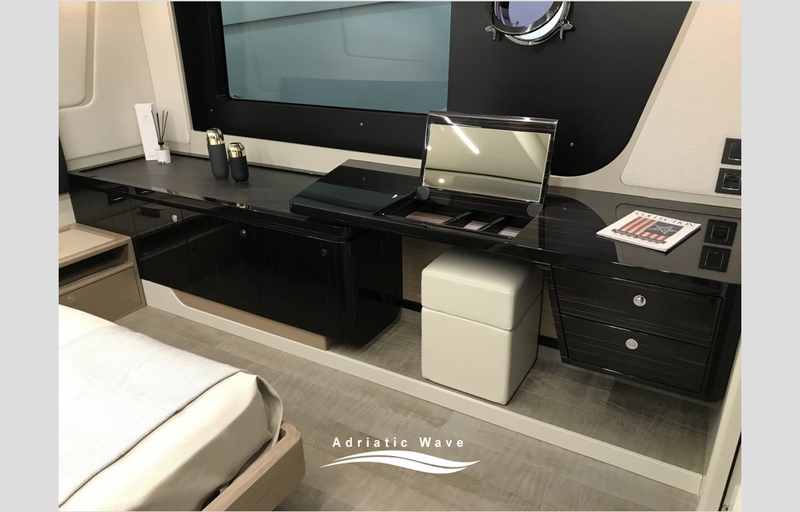 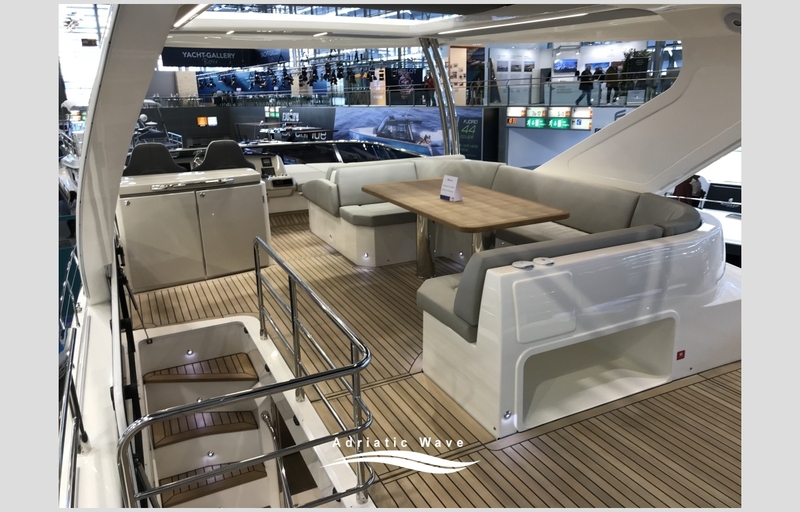 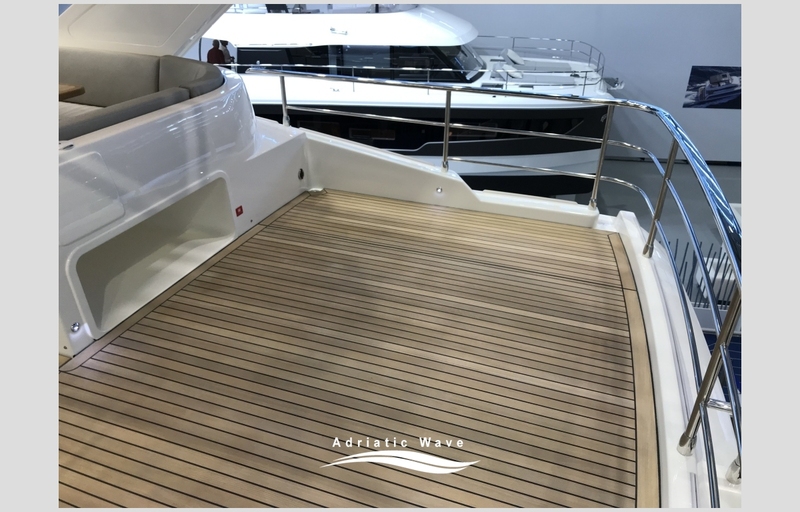 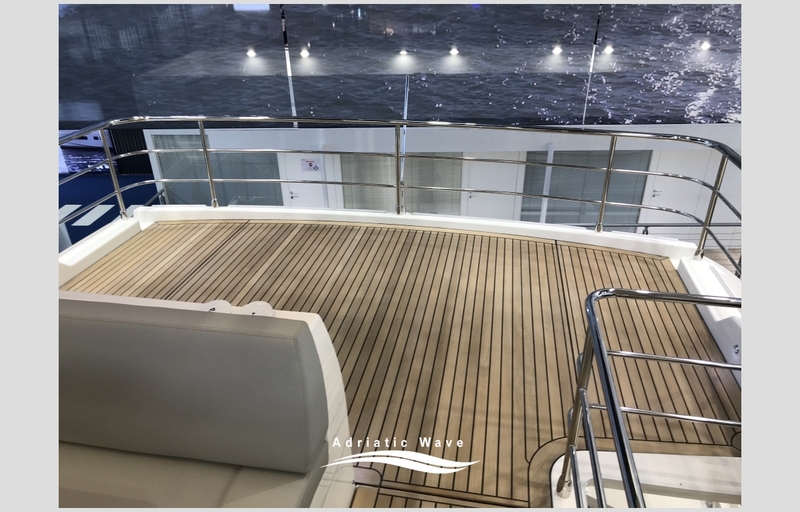 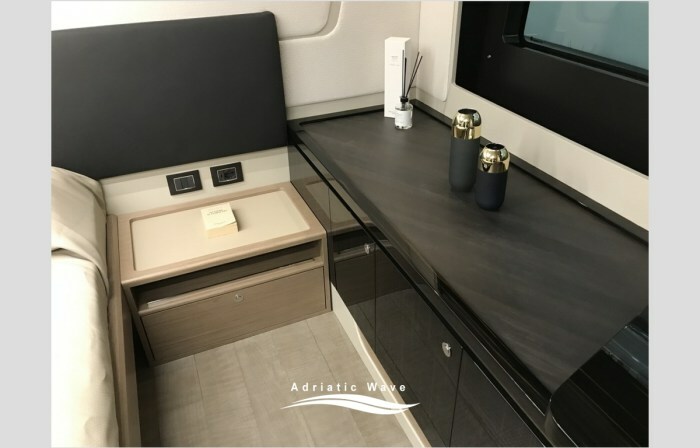 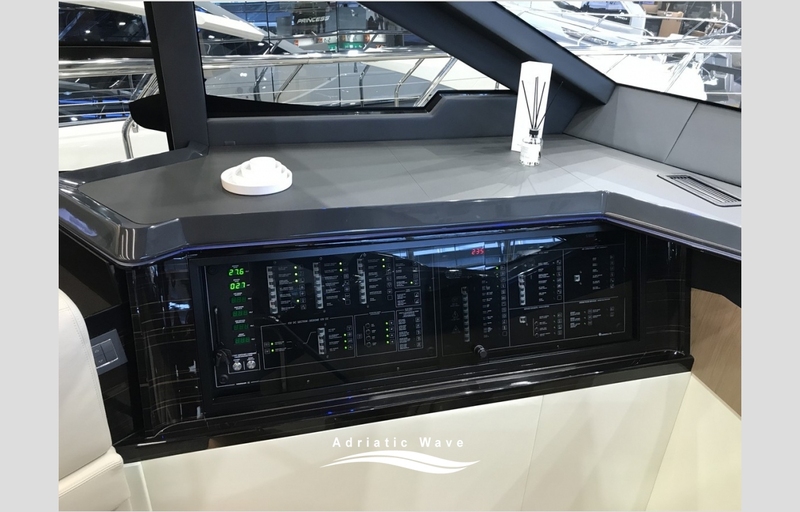 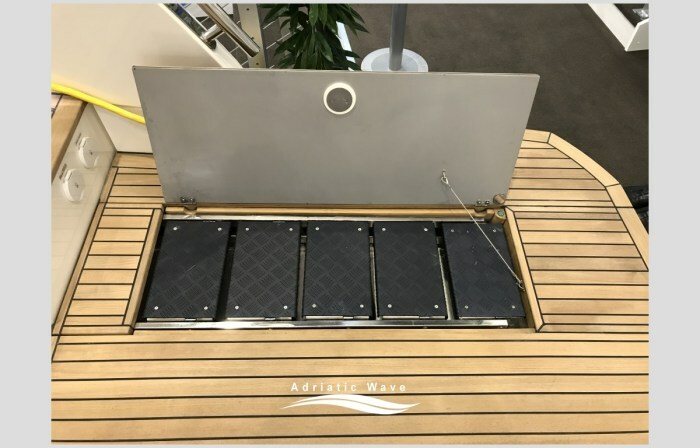 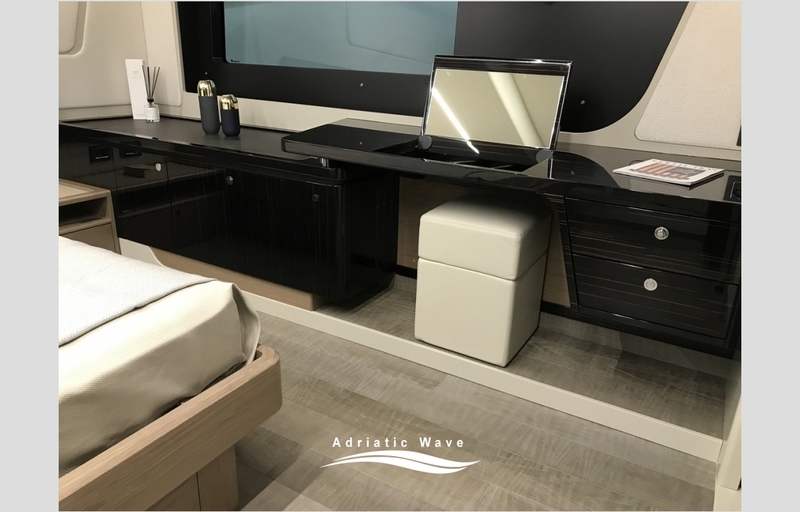 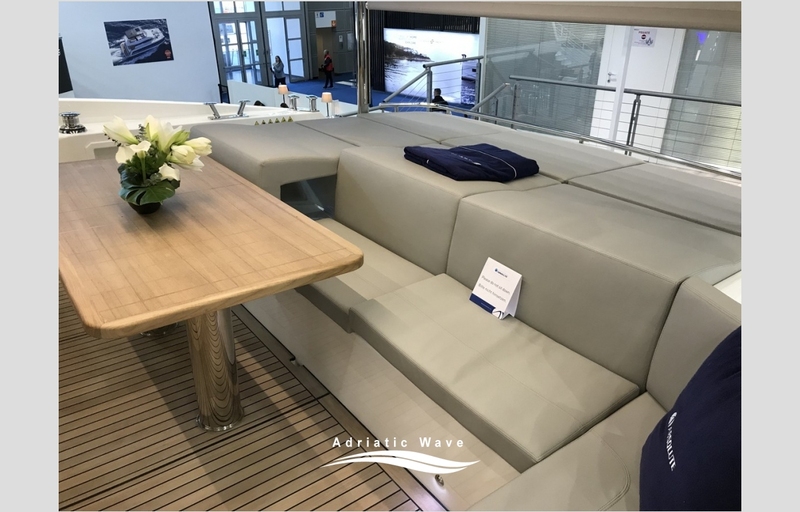 The finishes and equipment both internal and external are the best the market can offer, many are the stylistic and technological innovations introduced on this beautiful boat, the official presentation is scheduled at BOOT DUSSELDORF from 19 to 27 January 2019. 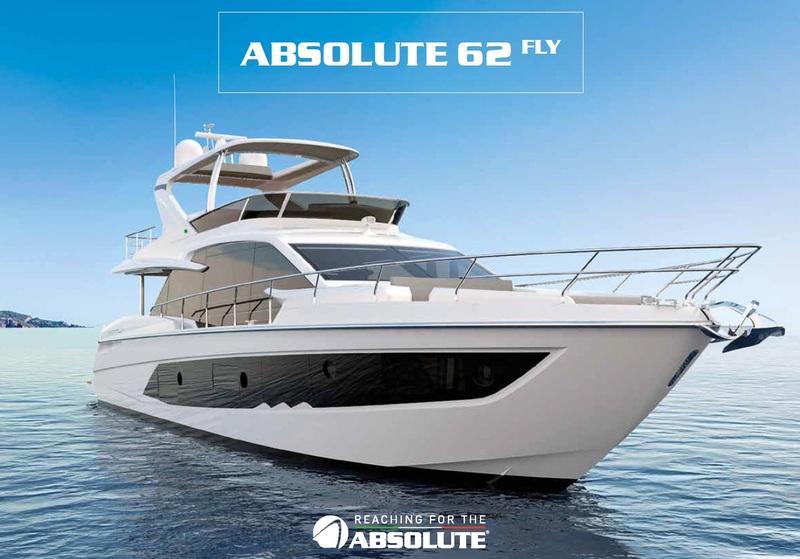 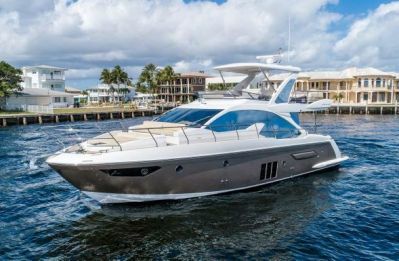 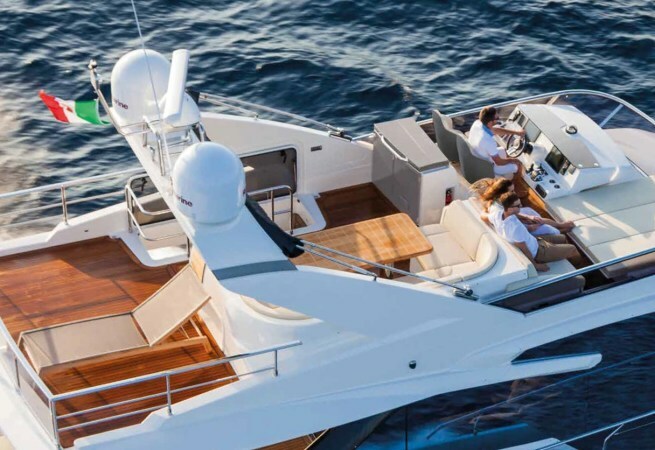 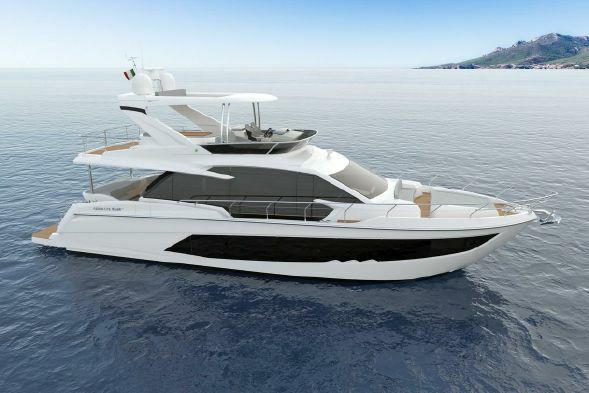 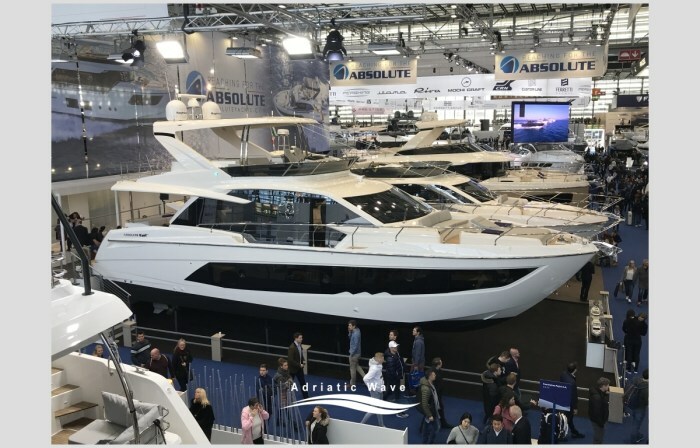 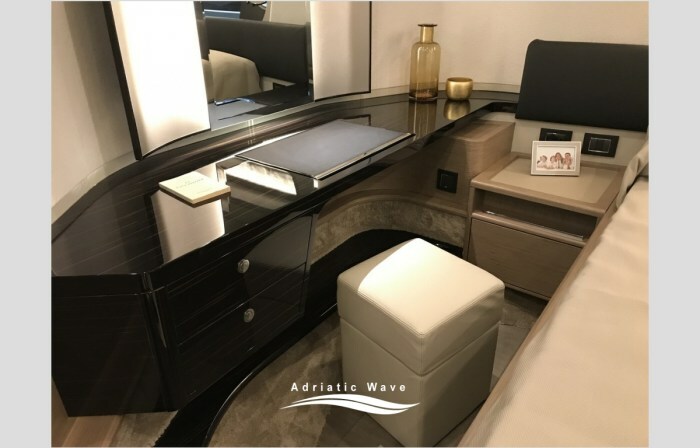 This new Absolute 62 will be present at Miami Yacht Show 2019. 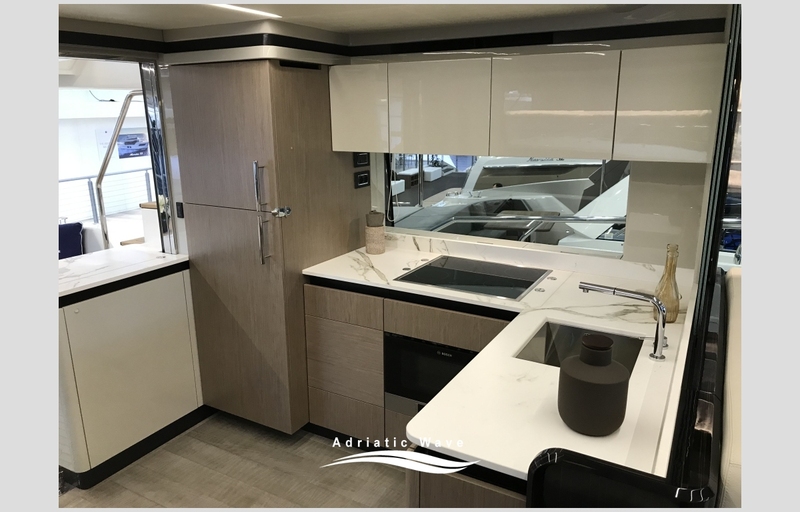 Do not hesitate to contact us for any questions or accompaniment to the purchase at 514-521-1221. 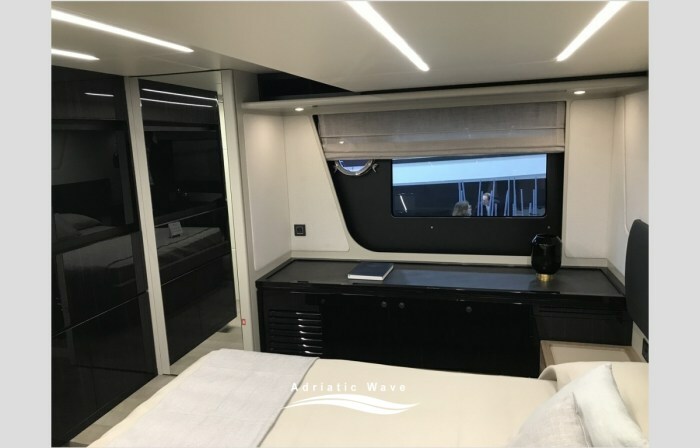 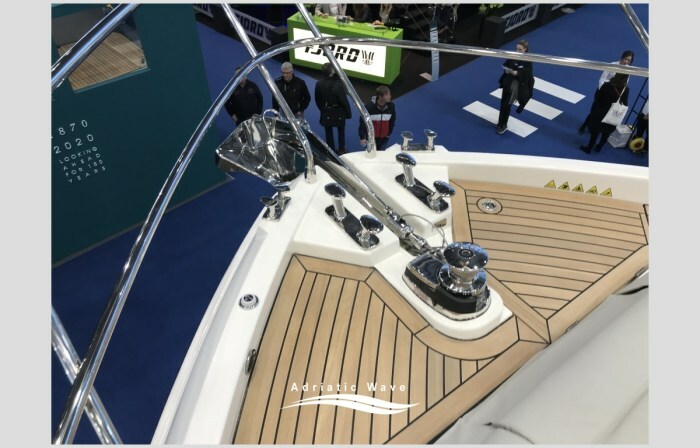 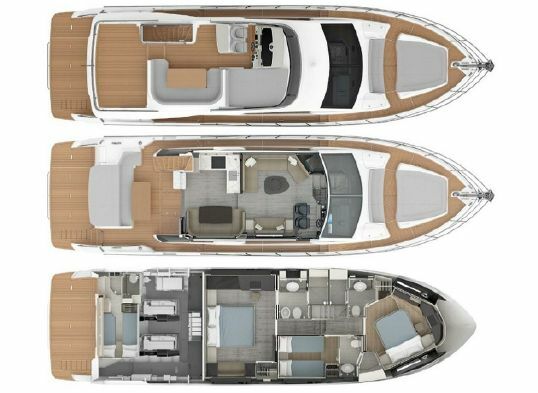 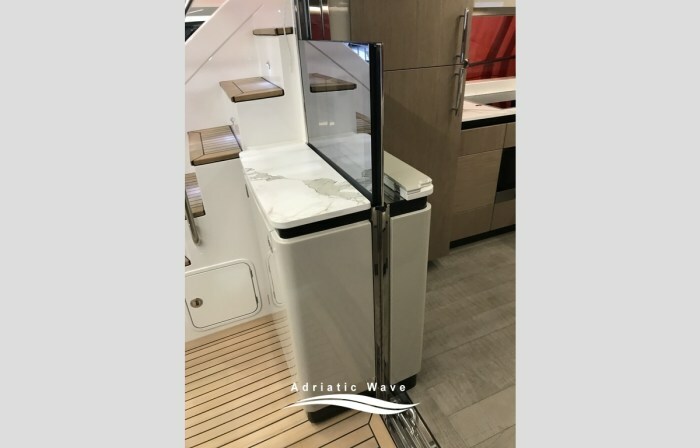 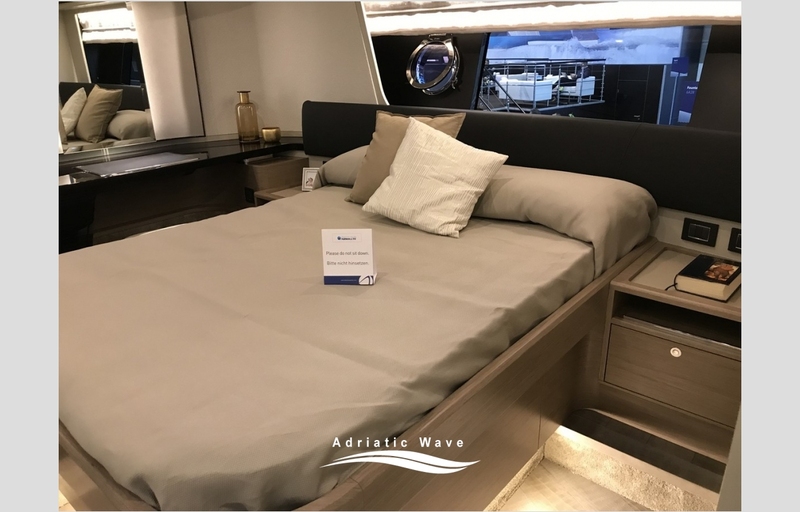 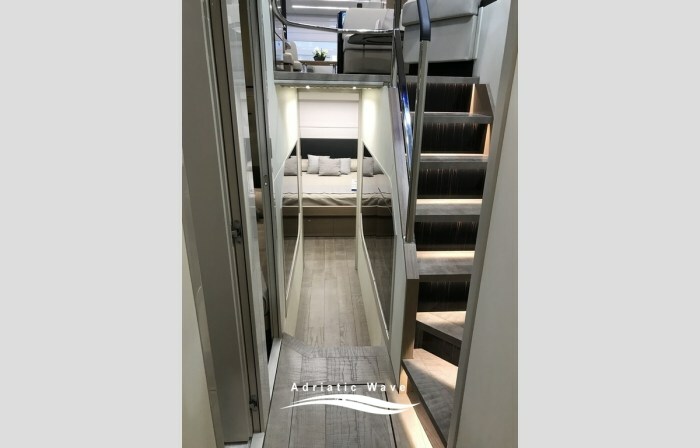 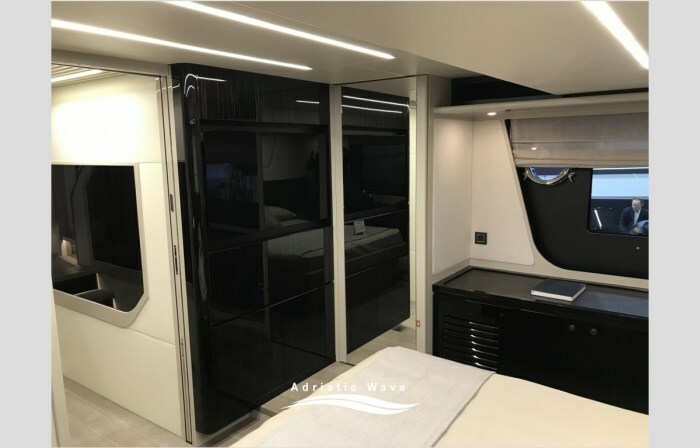 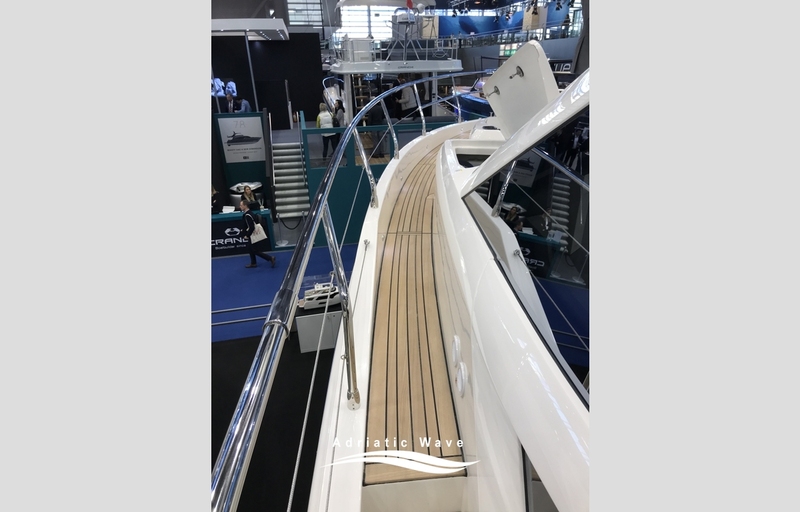 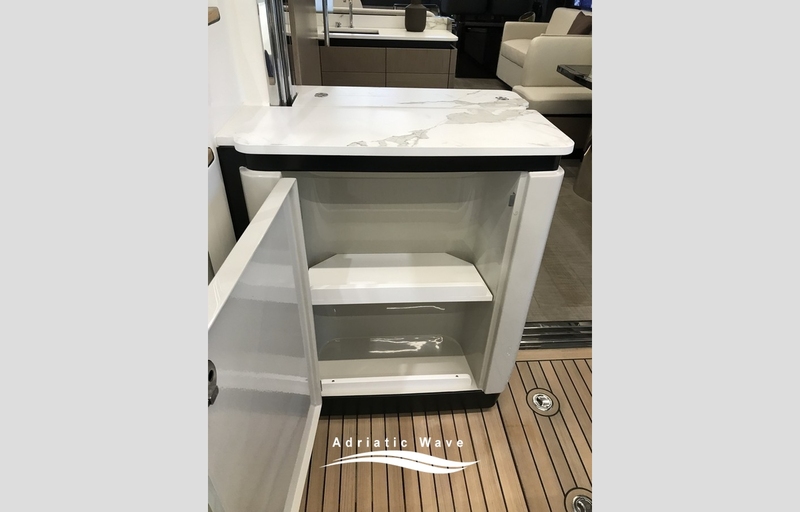 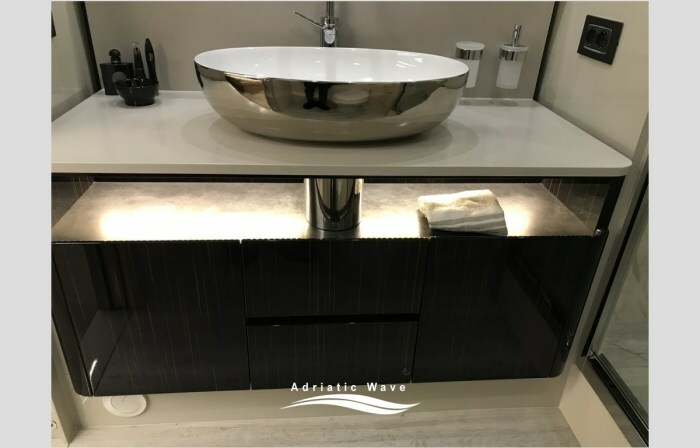 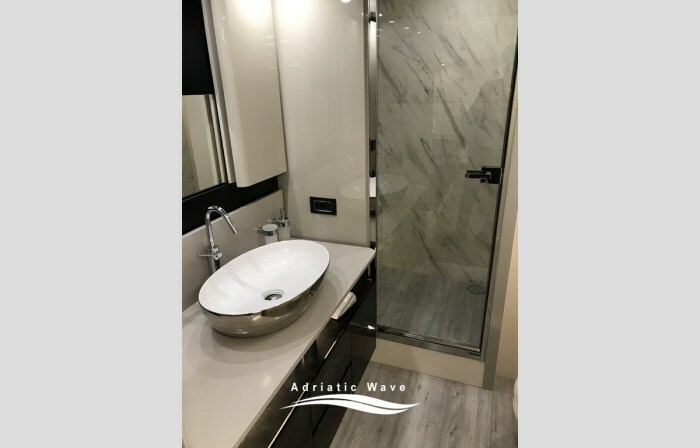 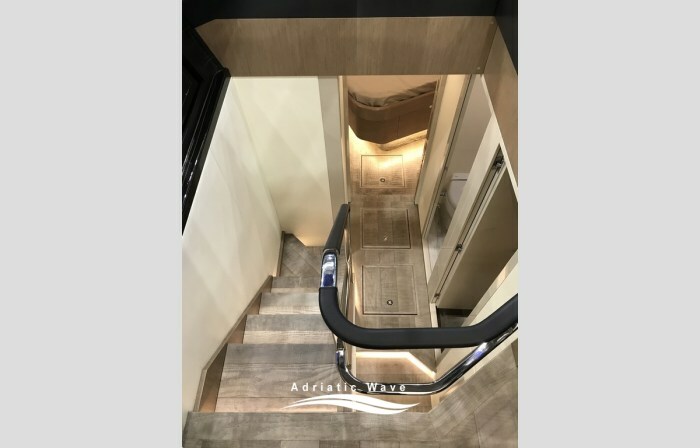 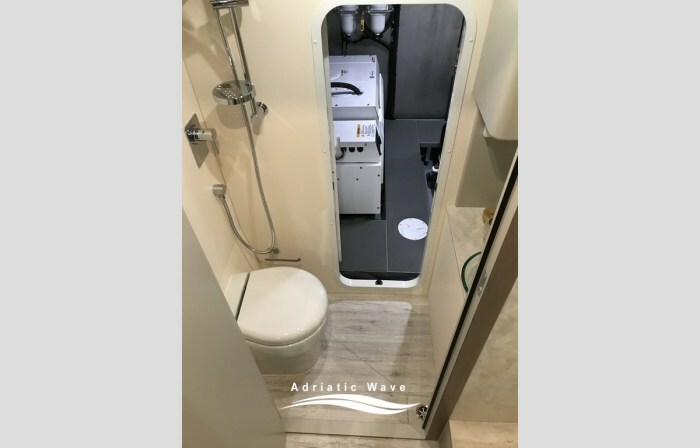 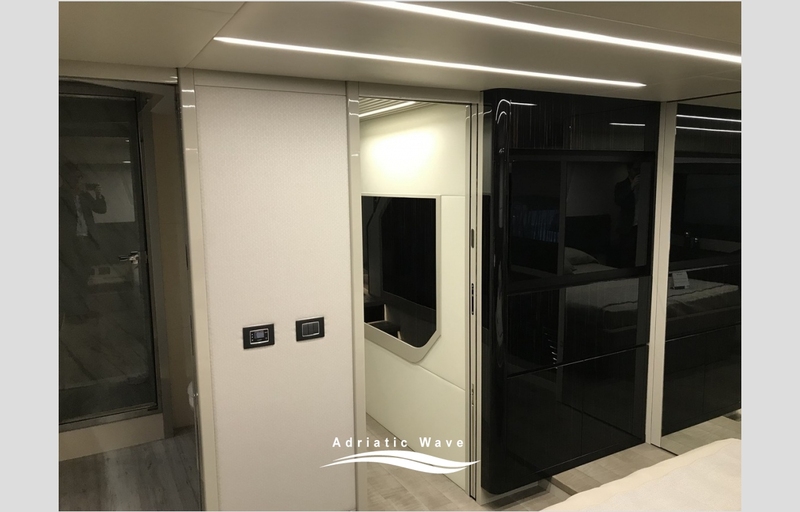 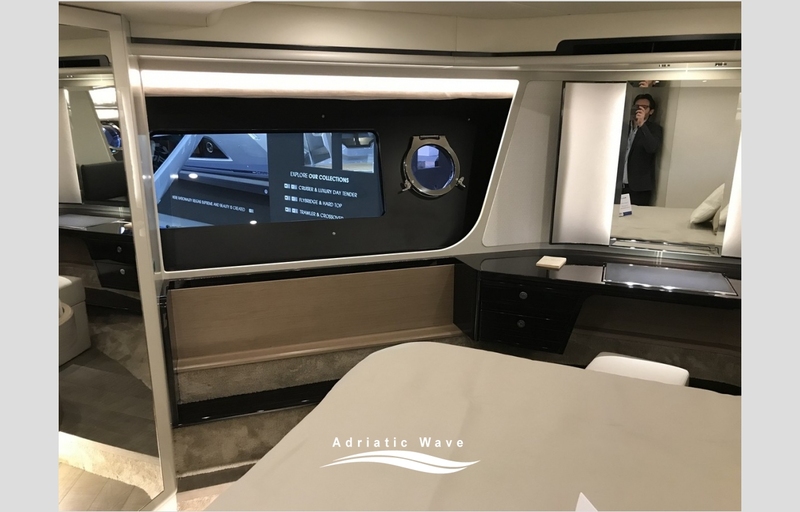 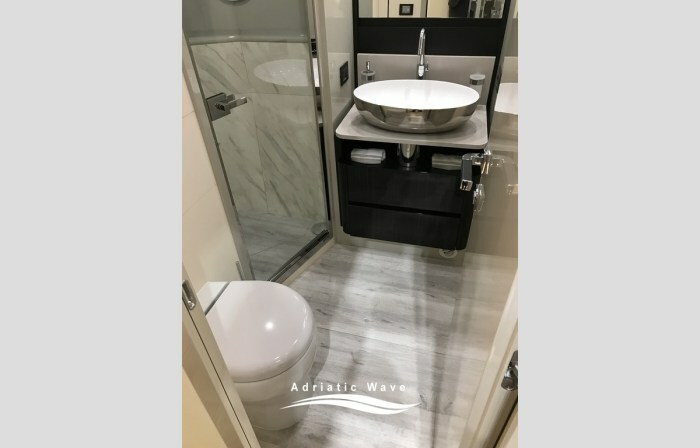 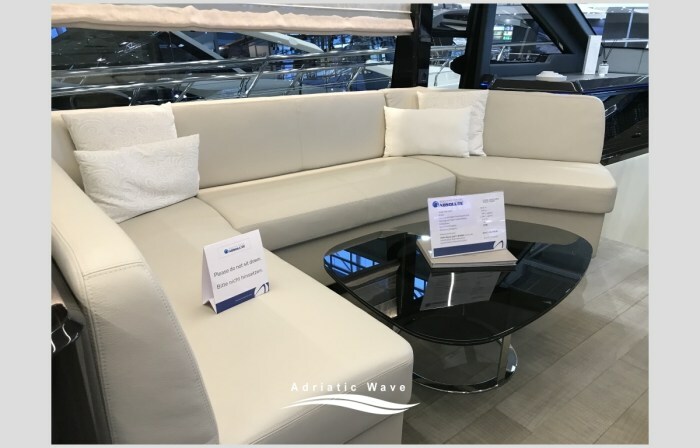 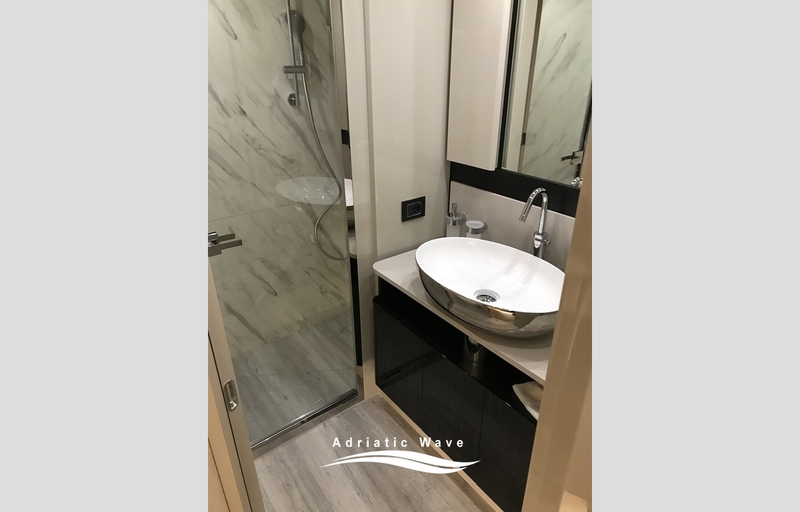 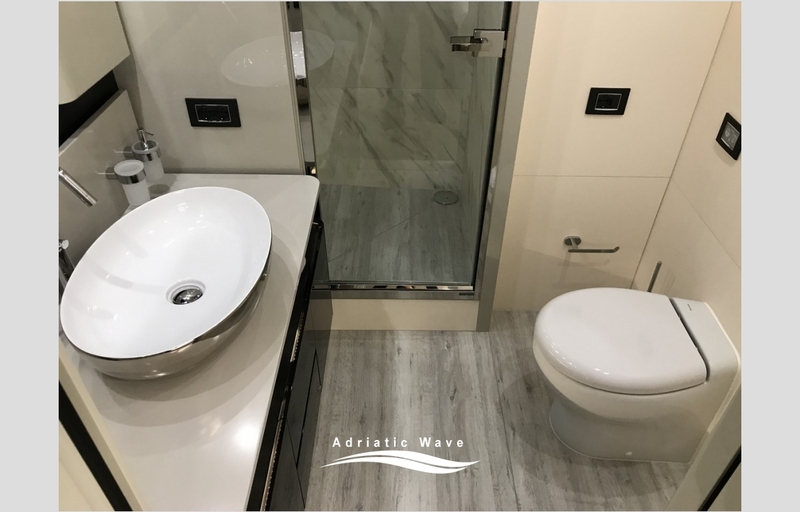 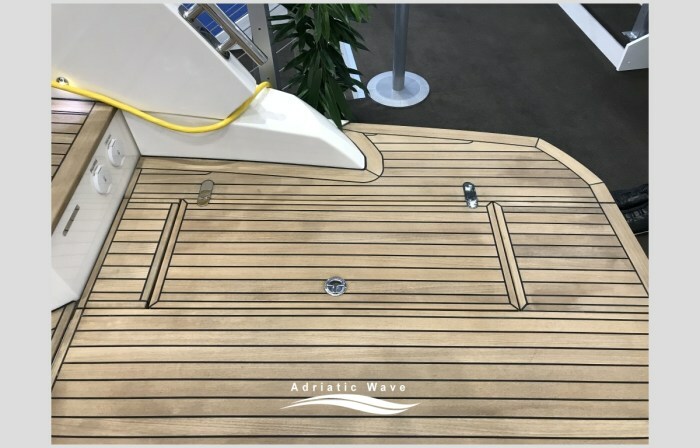 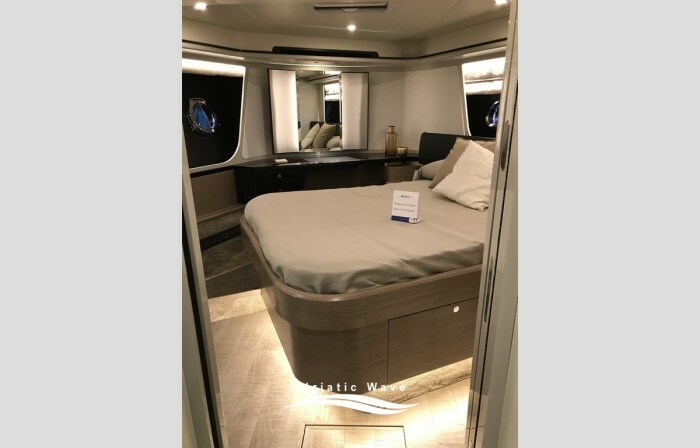 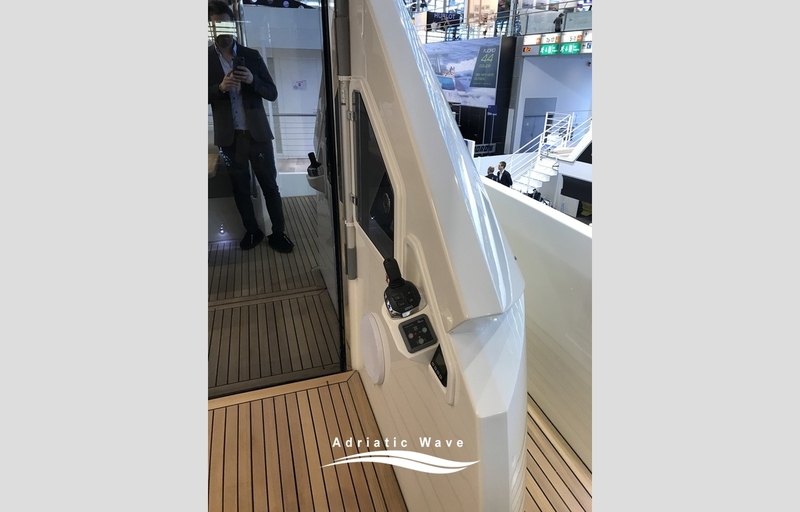 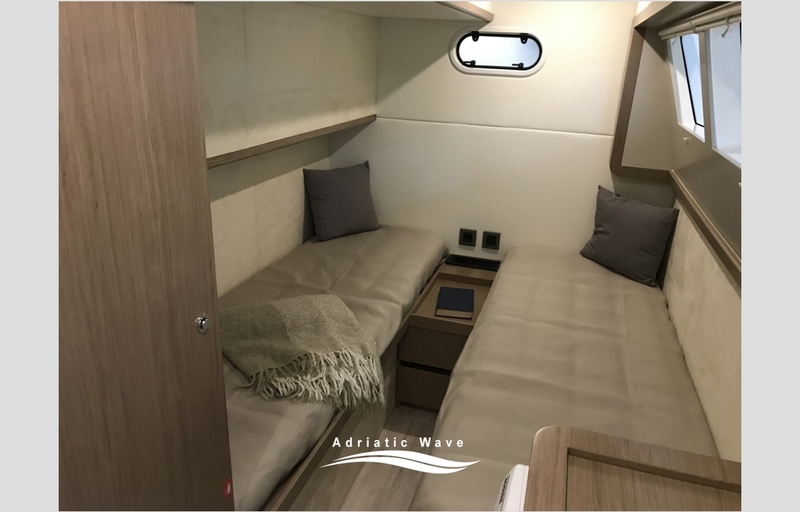 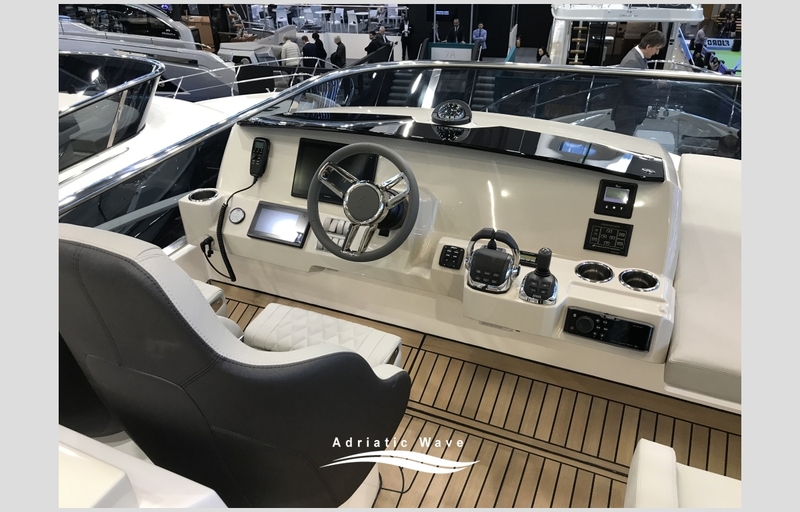 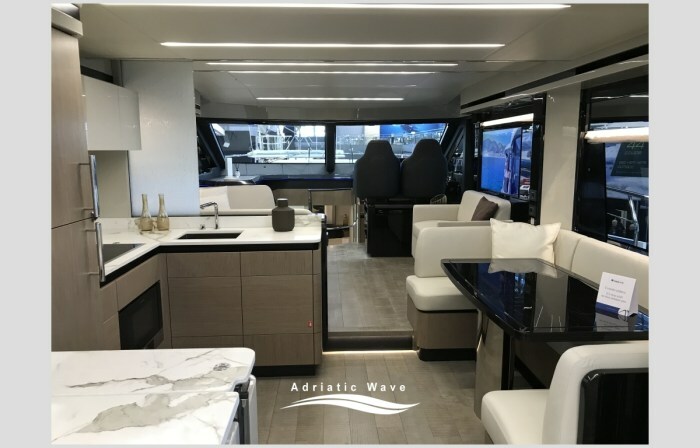 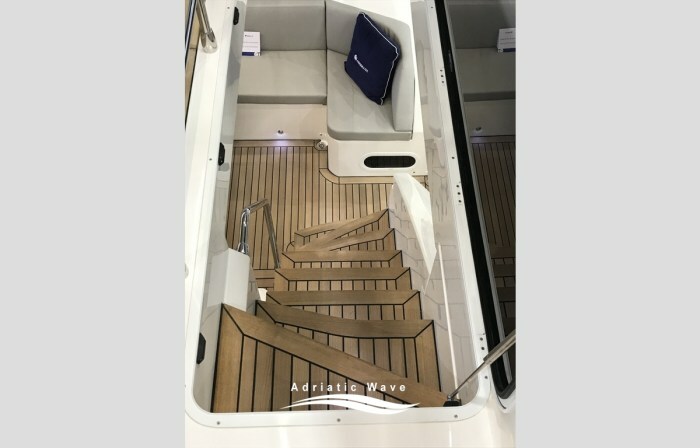 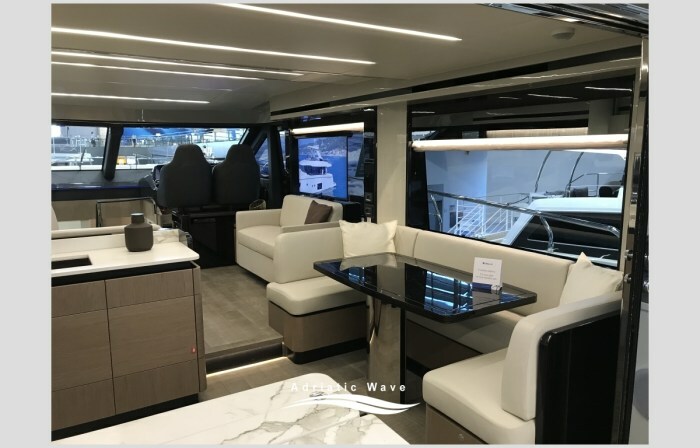 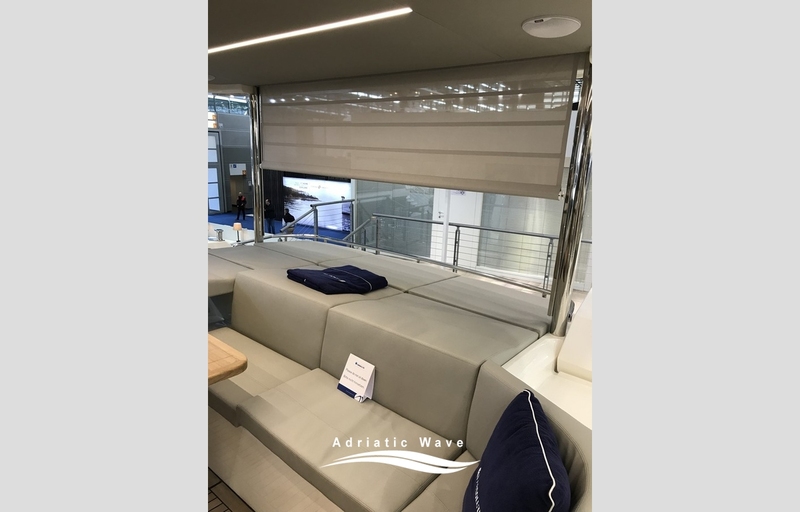 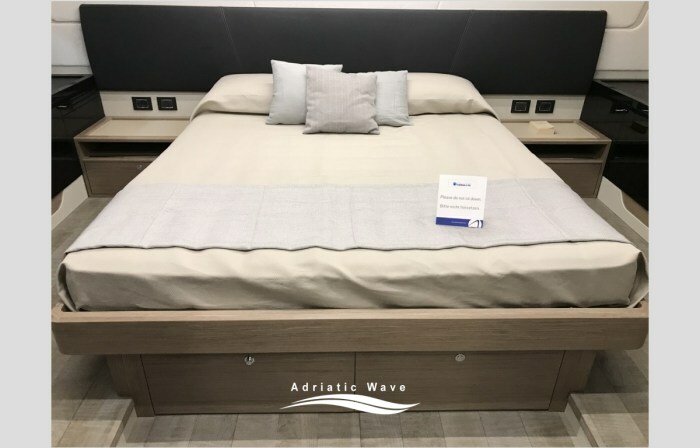 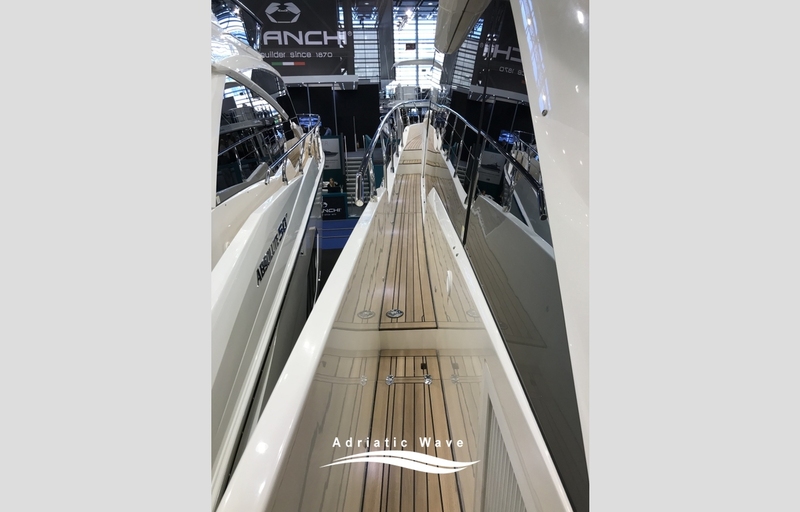 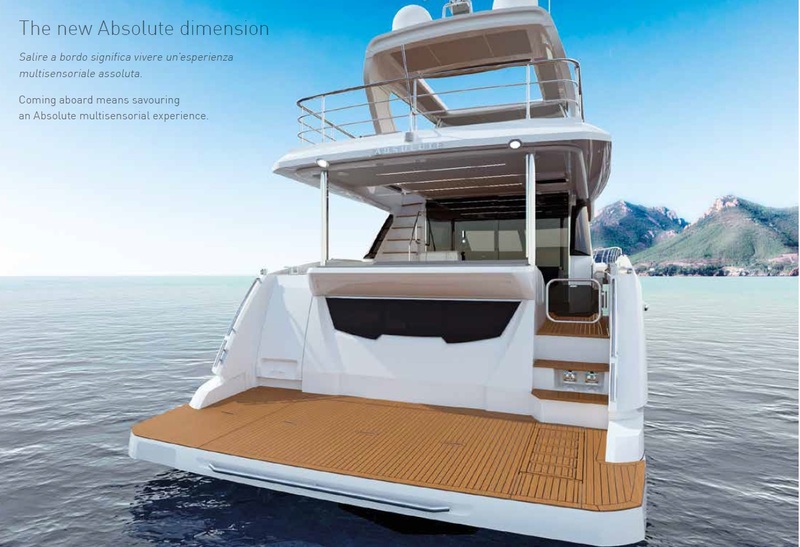 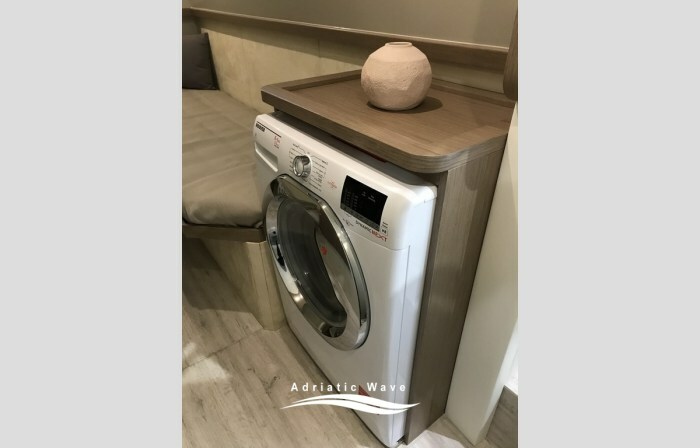 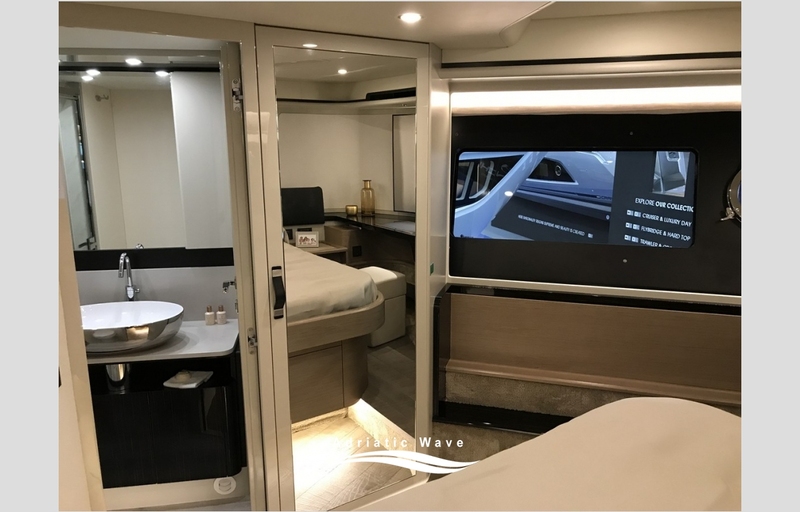 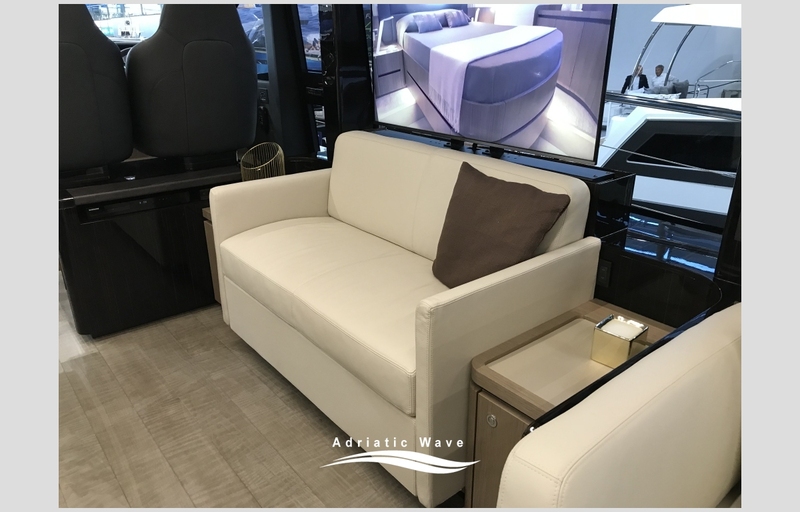 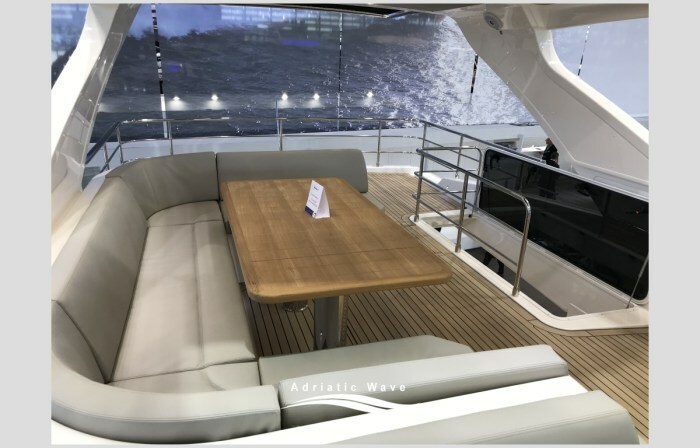 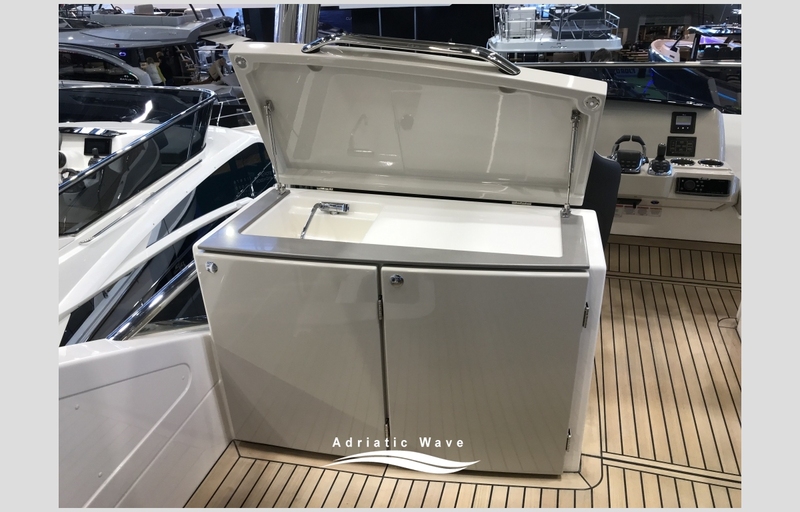 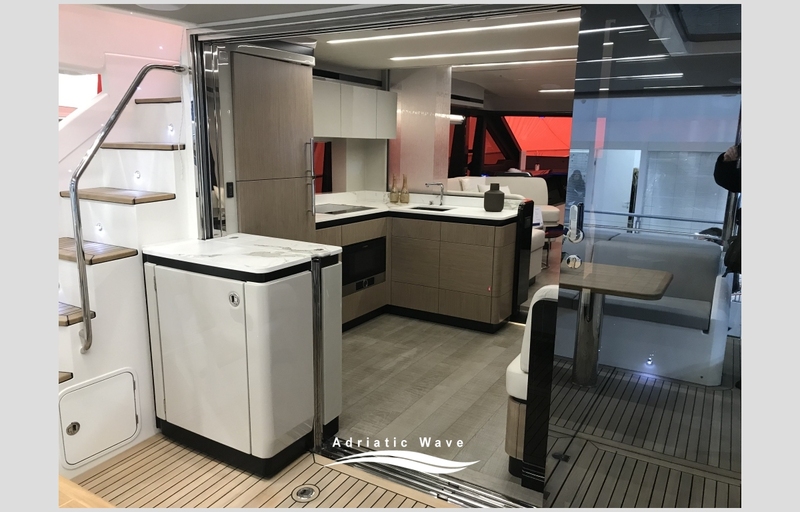 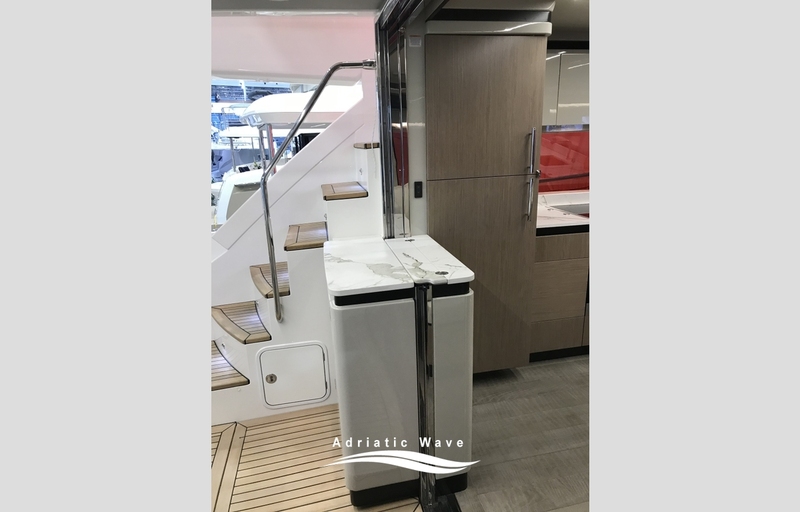 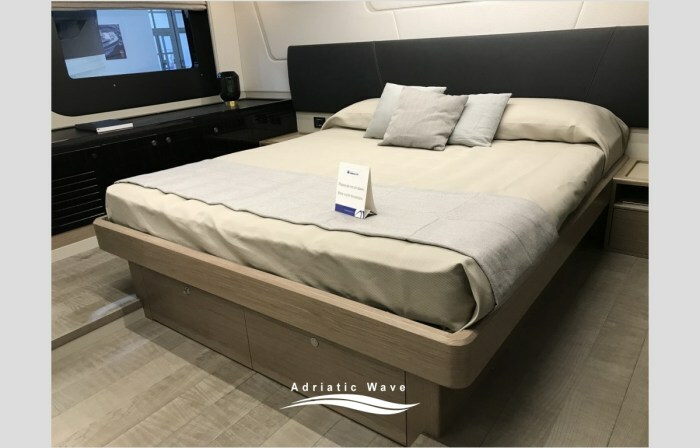 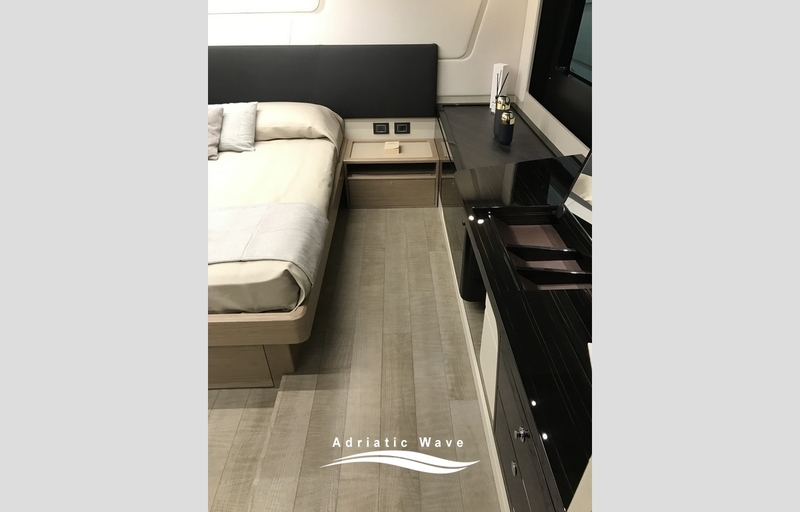 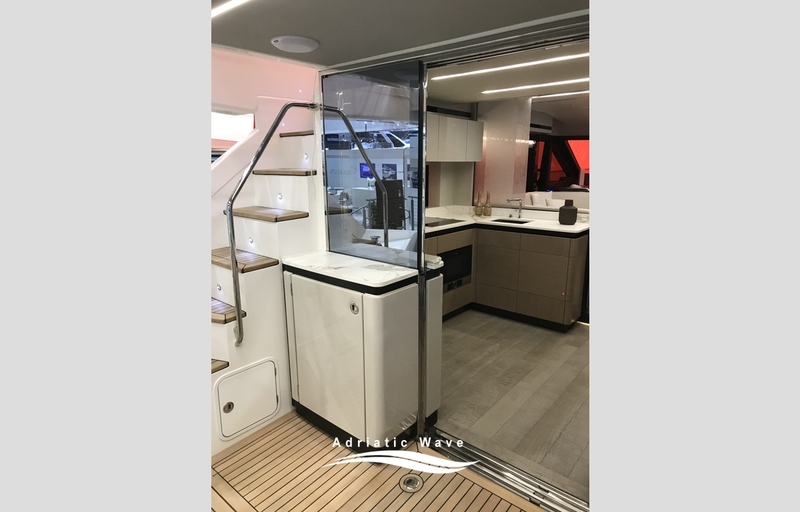 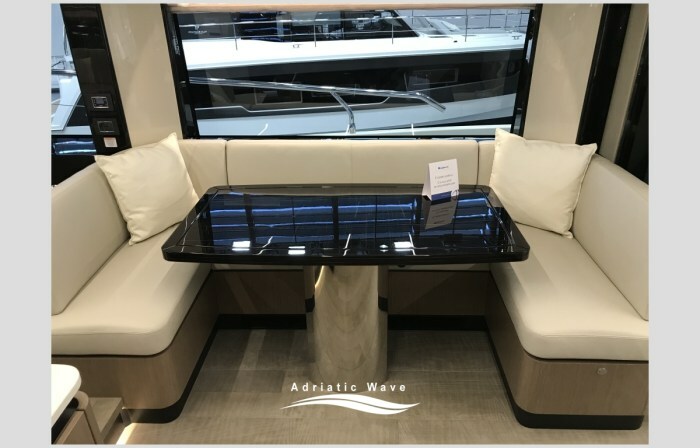 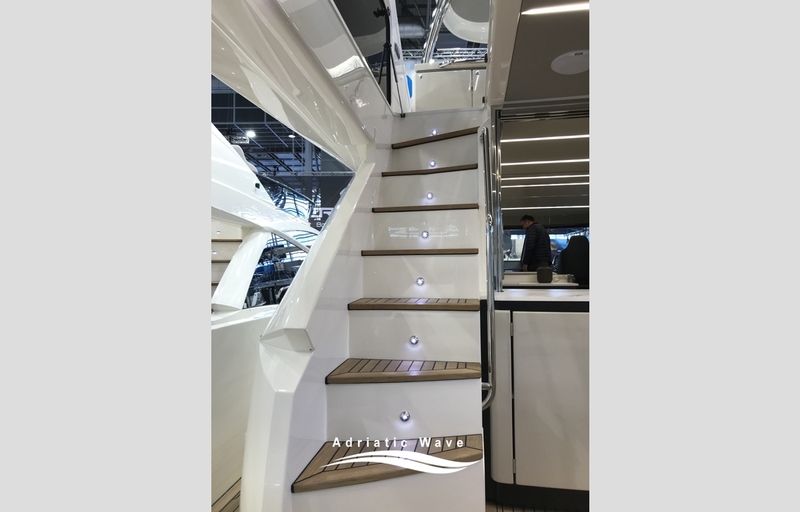 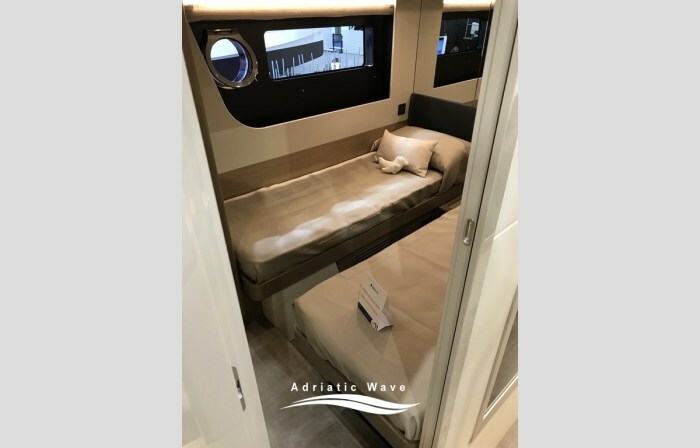 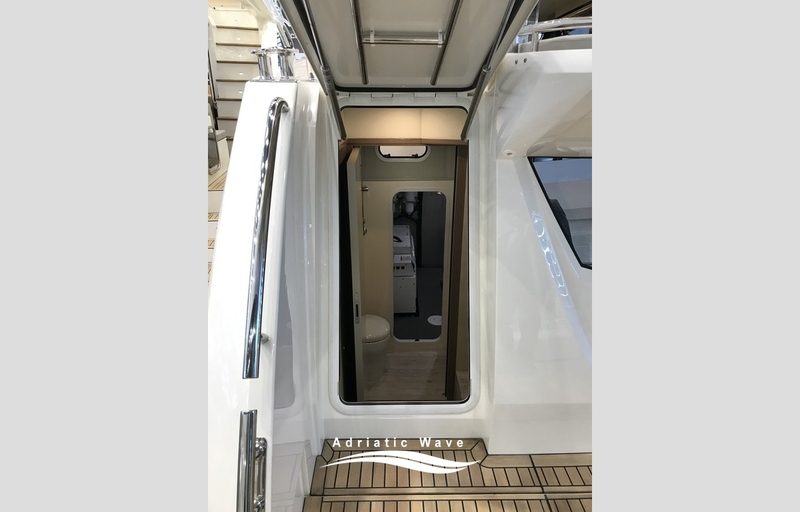 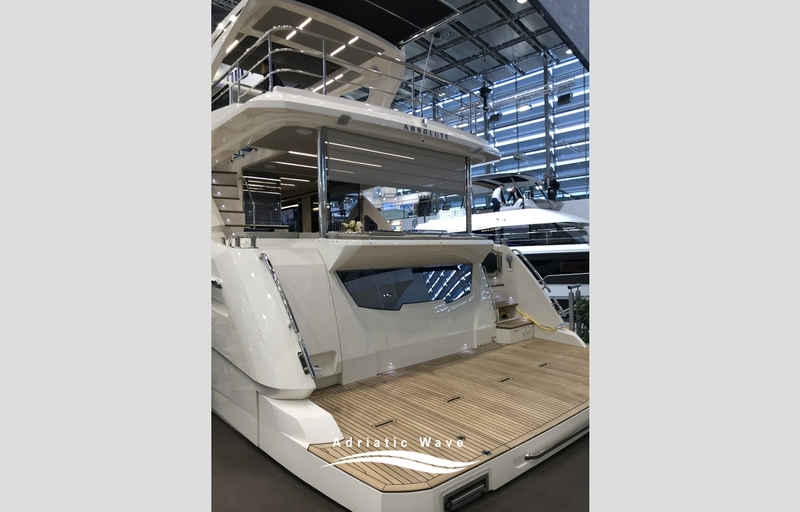 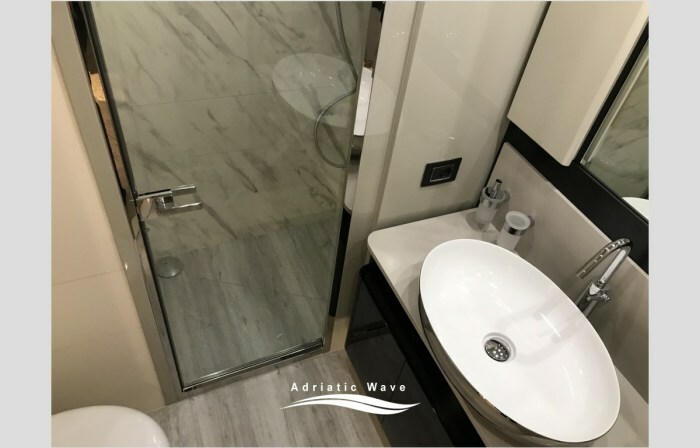 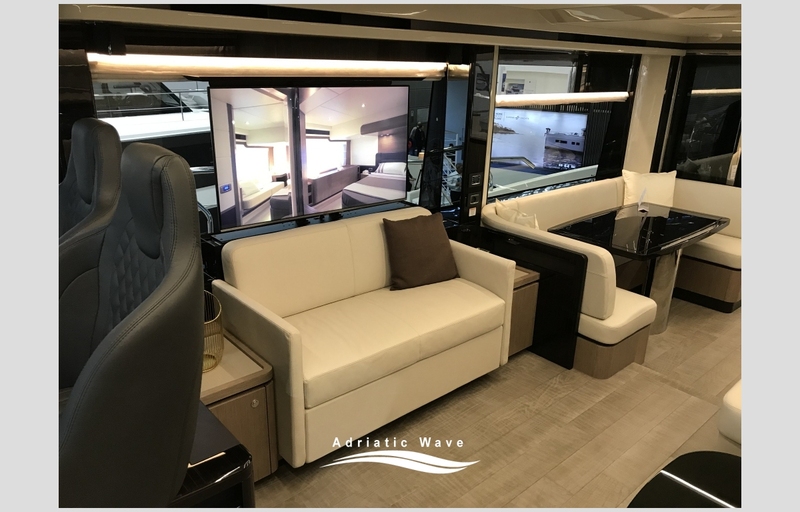 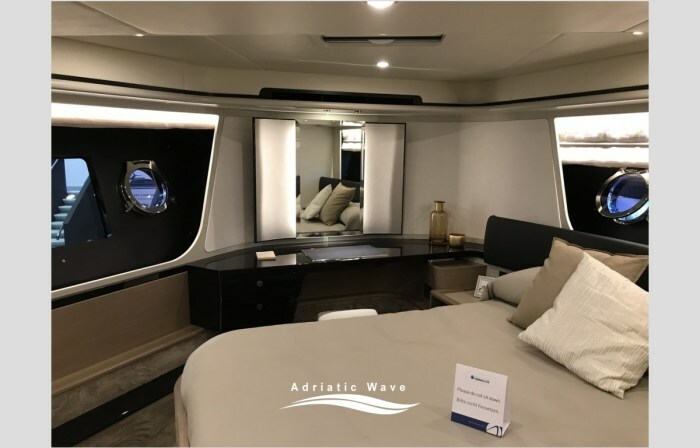 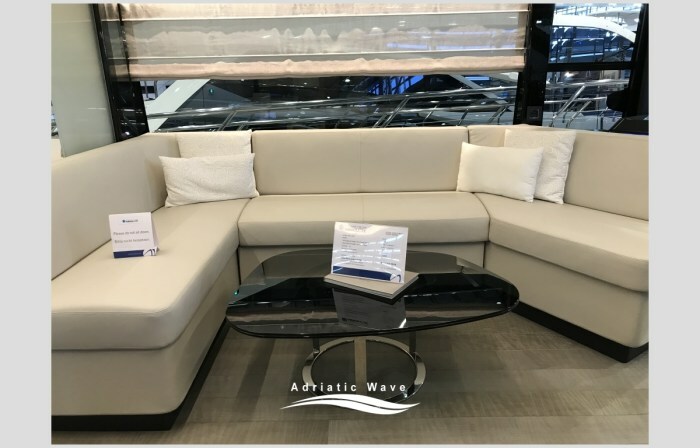 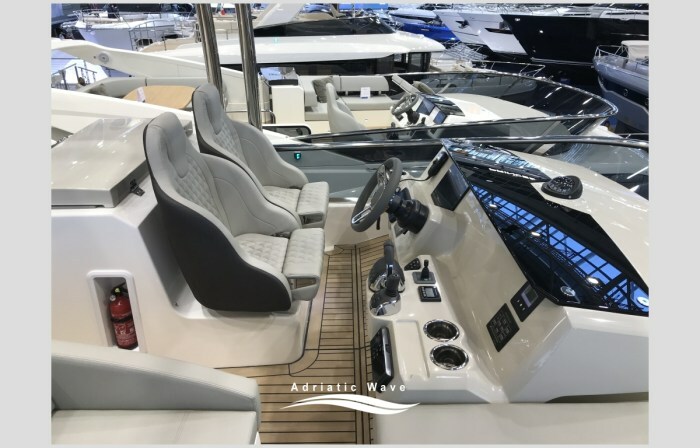 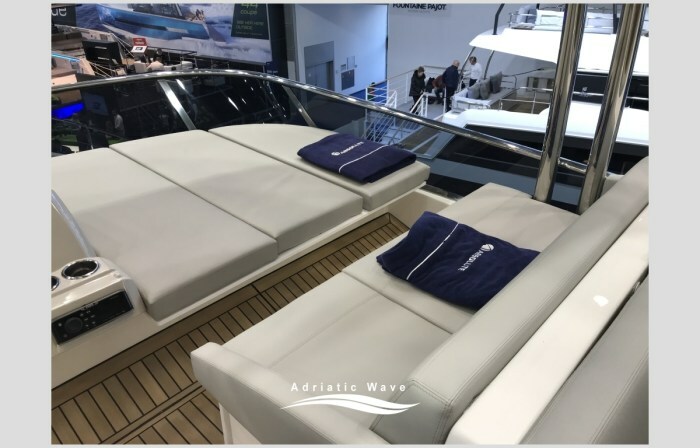 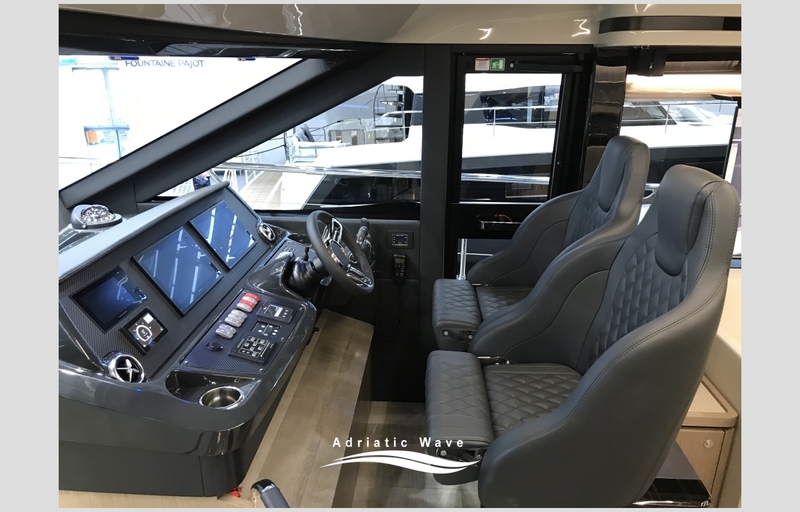 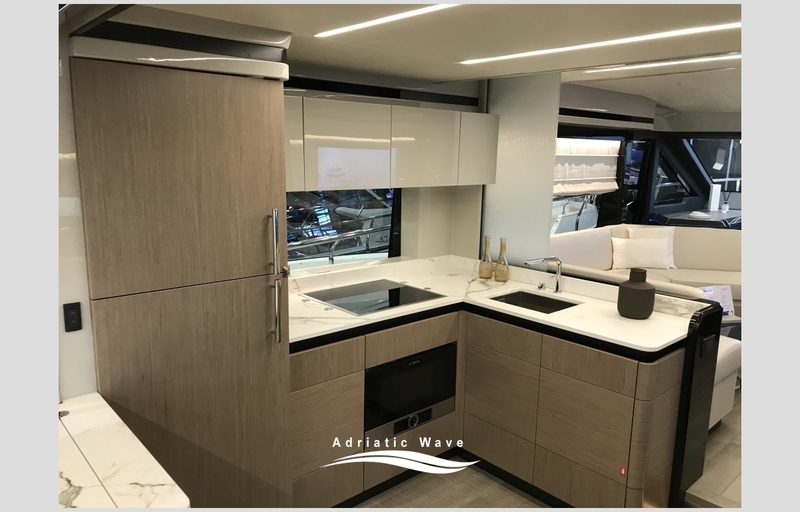 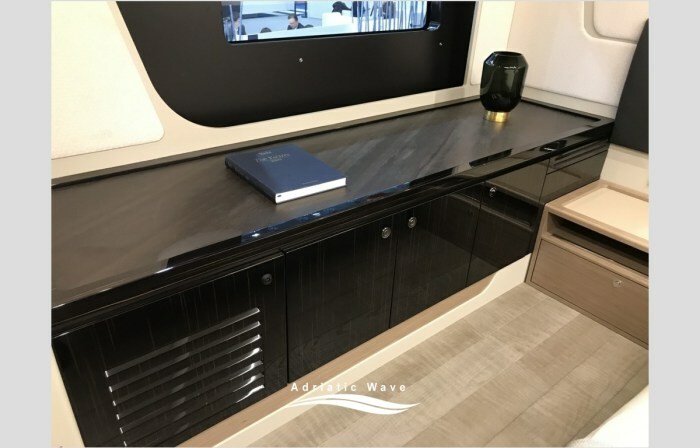 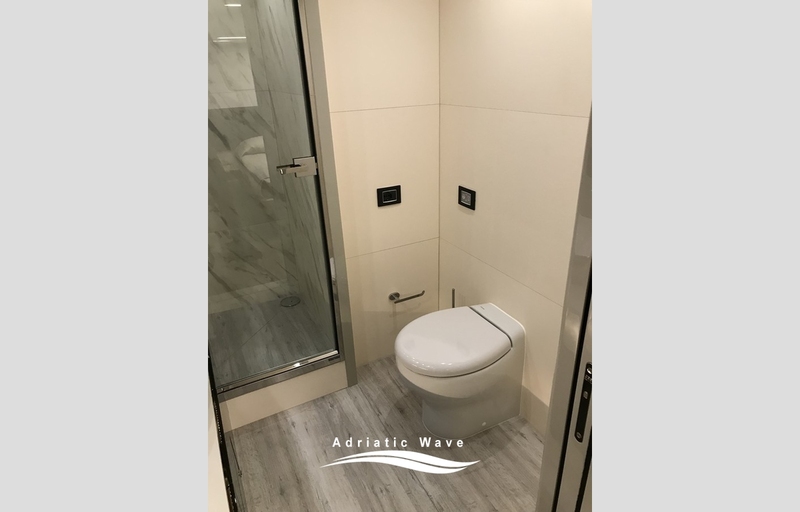 Click here for see a special presentation of this new model in Dusseldorf 2019 Boat Show. 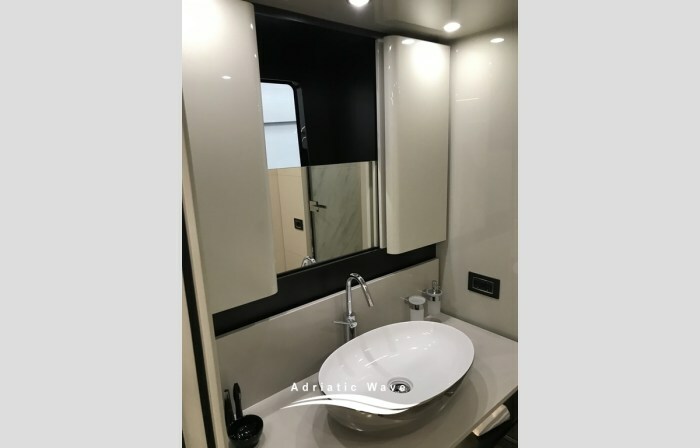 Water tank : 179 us gal. 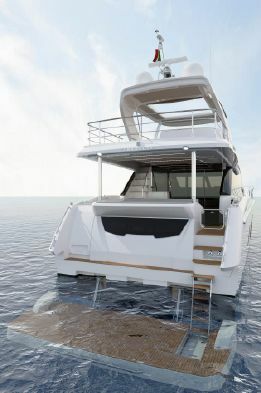 Fuel tank : 686 us gal. 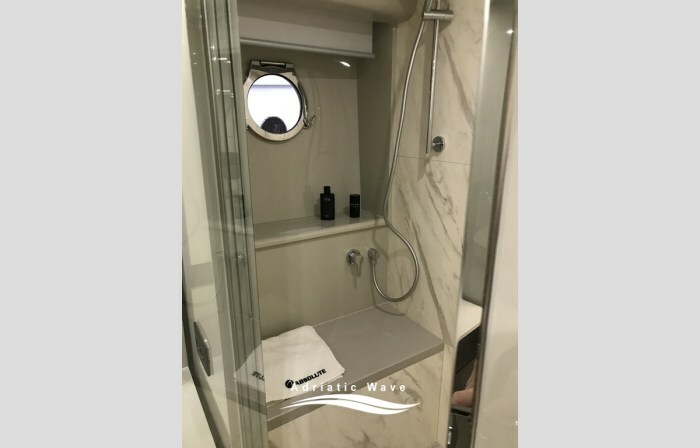 Crew cabin for 2 persons.